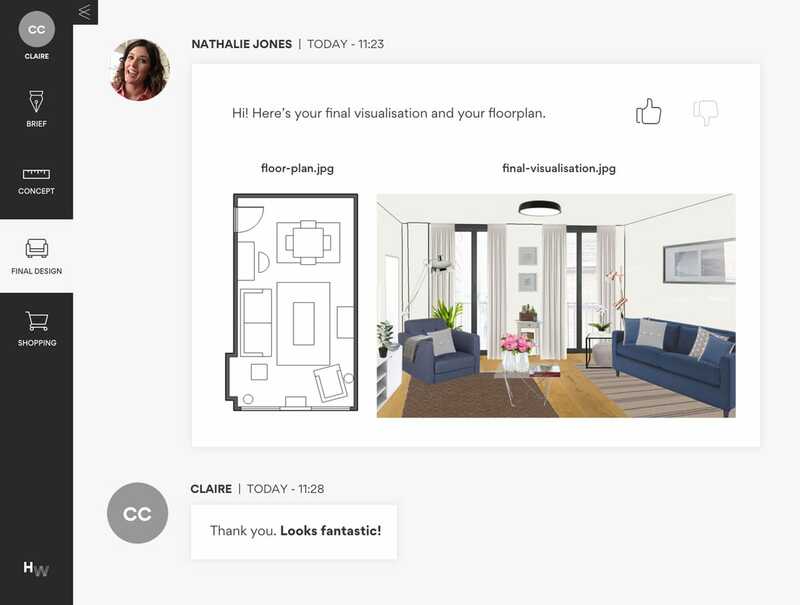 Tell us exactly what you are looking for by filling out our easy room design brief and style quiz. 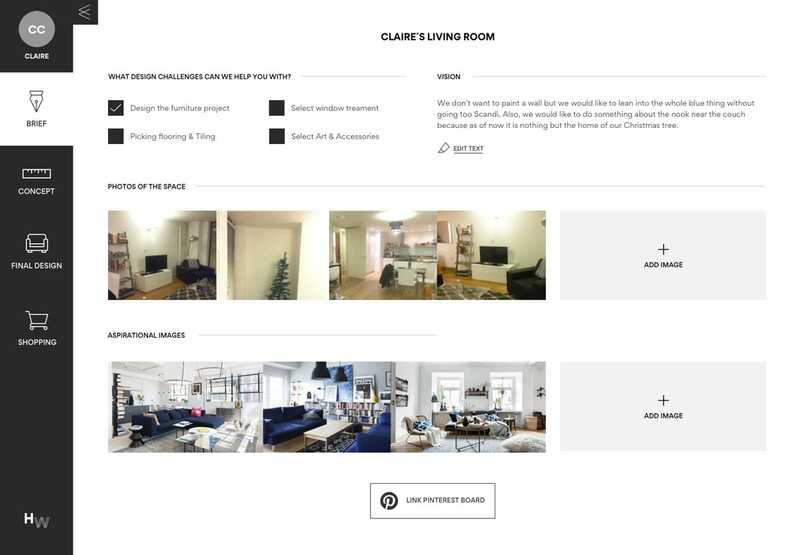 You can upload photos or a video of your room, share dimensions, links to e.g. your Pinterest board or even existing items you’d like to incorporate. The more you share, the better! 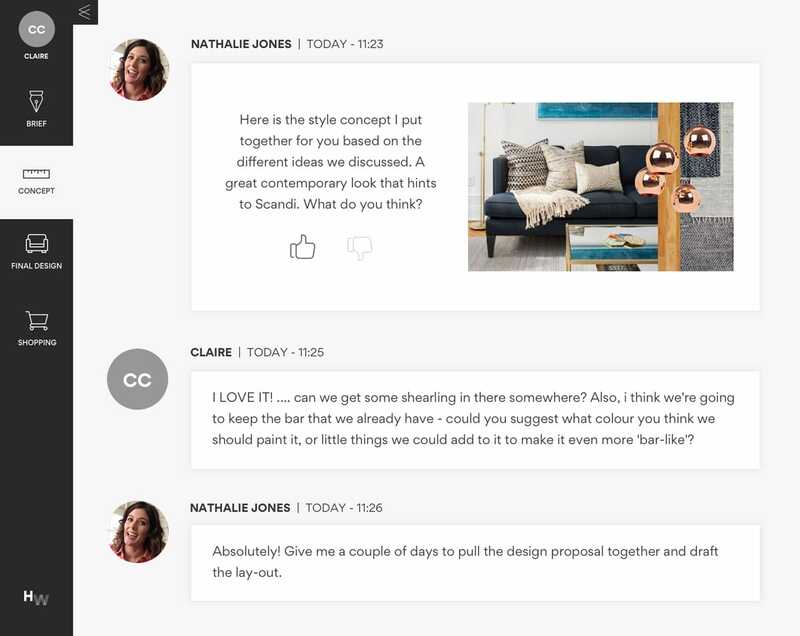 Kick-start your design time with an online (video) chat with your designer to craft your dream room. 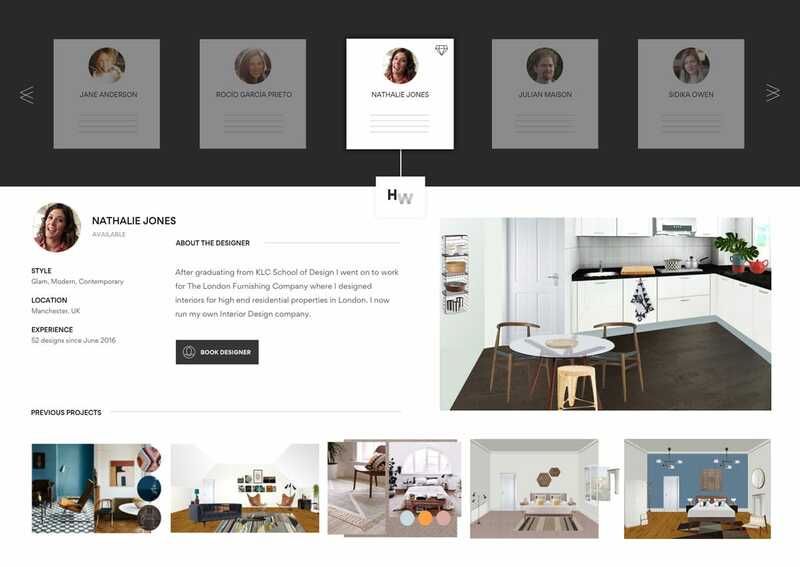 See recommendations on your online collaboration board, ask questions and agree on the design concept that is the foundation to your final design. We know it’s hard to imagine your new room. That’s why we visualise your room for you and recommended layout. (Only included in the full and premium design services) With your designer’s tailored furniture recommendations and decor ideas you’ll see your room come together. If you aren’t thrilled, we’ll fix it! Shop all personal product recommendations from your design directly through Homewings. Your dedicated shopping concierge makes sure that your experience is a success, from managing order logistics to coordinating vendors in case of returns or exchanges. Let us do the hard work so you can enjoy your new place! Homewings is continuously on the look-out for the best products out there to suit any style or budget. Our designers exclusively source from this curated and vetted list of 200+ favourite suppliers who we know deliver great products and a great service at the best price. From the big names to unique smaller brands, we’ve got it covered. 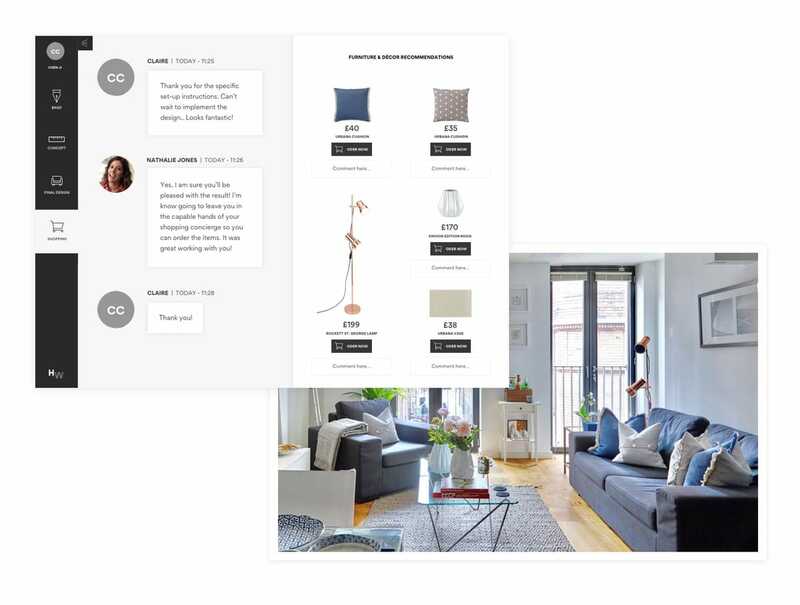 A curated product and delivery experience that helps make beautiful living easy. Our procurement team has vetted thousands of high quality products, which are available exclusively through Homewings and cater to any style or budget. All your items are delivered in one batch within 3 weeks of placing your order and - most importantly - at a time that suits you. We’ll make sure to take the items to the right room too! This service is complimentary for orders of £2,000 and above. For smaller orders, an additional charge will apply.